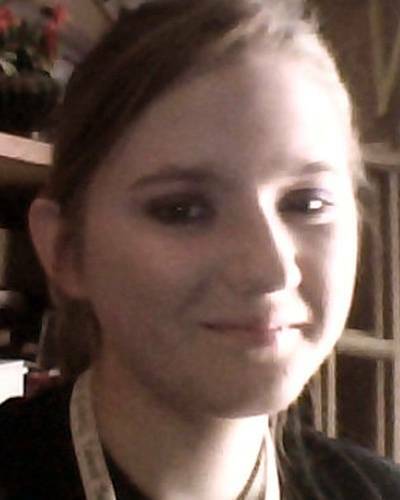 UPDATE 7//12 – Aly has been found safe in Detroit, family members said Tuesday night. 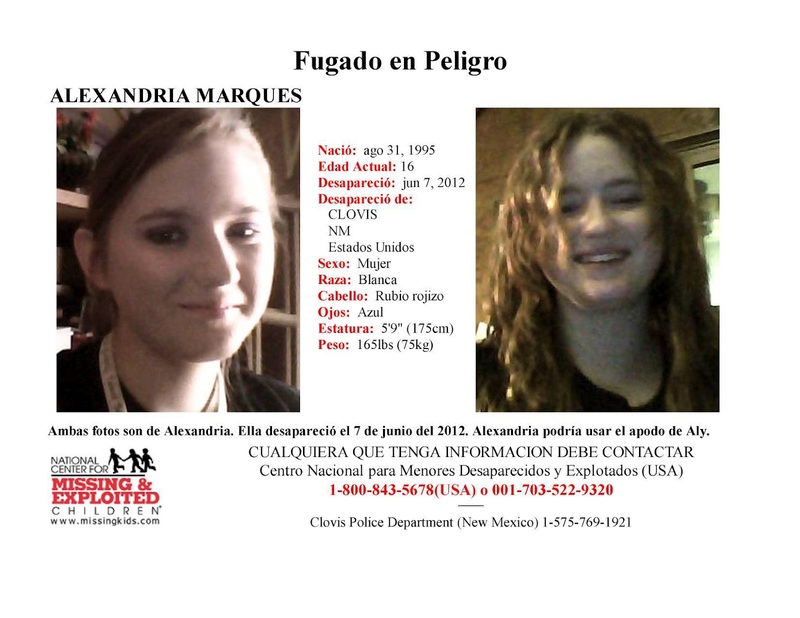 Alexandria “Aly” Natasha Marques, 16, has been missing since June 7, 2012 from Clovis, New Mexico. Aly has medical issues resulting from a violent car accident that cause her to ‘blank-out’ and not know who or where she is, often getting lost in her own back yard. She also has heart issues that have resulted in several surgeries since birth to correct. If you see her, please call 911. “There is no evidence that Aly was abducted, at least not from her home, we believe she left on her own. However, there is evidence that she did not run away. She left with only the clothes she was wearing, nothing more, no money, no id, no other possessions, and no shoes. We believe that Aly was not in a coherent state of mind when she left, and ALL evidence, including her medical history, tends to support that. We believe that she is in immediate danger and is a danger to herself.